The Workhouse is a Bend location where you are sure to find quality handmade goods. Larissa Spafford and Lisa Marie Sipe are among the eight artisans currently producing there. 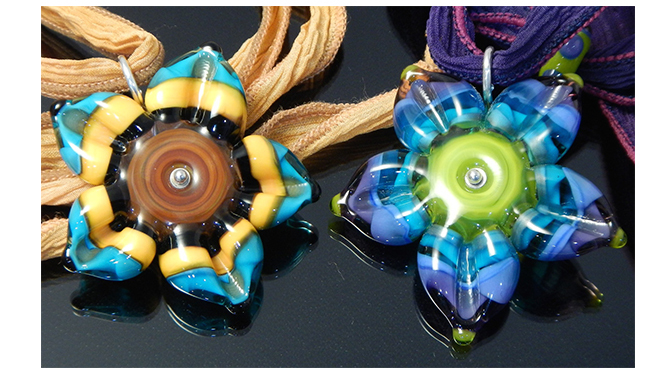 Spafford handcrafts glass beads and other jewelry. Spafford enjoyed presenting her work at bead shows from Washington to Baltimore and local farmers markets for 16 years. Though, since her move to Bend in 2009, she is happier showcasing her work locally, especially at The Workhouse. Sipe has just released an exclusive set of prints only available at The Work House. Her work is also at City Hall in Bend as part of the City Walls at City Hall program and Sunny Yoga Kitchen in NorthWest Crossing. The monthly Last Saturday celebration which takes place in The Old Iron Works district, including The Workhouse, follows Small Business Saturday, 6-10pm. This month artist Kaycee Anseth’s intricately detailed colleges will be displayed along with food and beverages by the Root Cellar and Backdrop Distilling and musical performances by B Side Brass Band and Black Flower Black Sun.